Did You Say Screen Free Coding for Preschoolers? We’ve all experienced those scary moments when our computers freeze. We can’t move the cursor, we can’t save our documents, we can’t even stop staring at the screen. We utter silent prayers to the computer gods, but it’s no use. We’ve got a bug, and there’s no option left but to hurl the mouse against the nearest wall shut down the computer and start over. It’s those horrifying times when we wish we were on speaking terms with our next-door neighbor, the computer programmer. Or better yet, we wish our own kid knew a thing or two about coding. Isn’t preschool too early for coding? Not exactly. Your rug rat might not be able to restore your data, but it’s not too soon to introduce them to the joys of coding. Screen free coding for preschoolers is an actual thing, with huge payoffs in cognitive skills — no ifs, ands, or bugs! Four screen free coding skills that you can teach a preschooler include sequencing, directionality, if/then, and patterns. Here are some fun ways to introduce each of these skills to your child. According to my good friend Merriam-Webster, the word “sequence” comes from the 14th century Latin word, “sequi,” meaning “to follow.” Over the years, the word changed to “sequel,” then to “sequentia,” and finally to “sequence.” Who knew that even sequences have sequences? Following a sequence correctly is important in coding. Get one direction out of order and the whole thing falls apart. It’s like all those times that one time I turned my car’s ignition key while the engine was already running. Nothing brings you back to reality like the sound of grinding gears. Kids who’ve made smores always want s’more smores. That’s because they’re yummy, they’re prepared by Mom, and (just like some of your relatives) they’re passed out around the campfire. Next time you feel adventurous, why not help your preschooler build their own smore by giving them a set of directions to follow in order? Just be careful around the fire or stove. You can find recipes for smores here (including ones you can make in the microwave). Songs that have sequences can be fun to sing with children. “Head Shoulders Knees and Toes” emphasizes a specific order from top to bottom. Other songs with logical sequences include “On Top of Spaghetti” (although I don’t understand the logic behind a tree that grows meatballs). This one’s easy. Just read a story aloud and talk about what happened first, next, and last. If you like, draw or download pictures representing the different parts of the story, mix them up, and have your child arrange them in order. 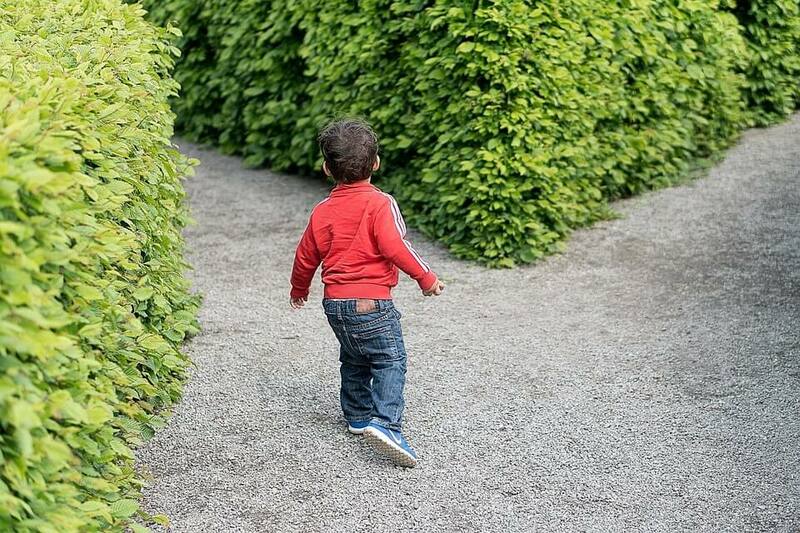 Directions like forward, backward, left, or right are sometimes tricky for kids to master. The same is often true for adults. Take my driving – please. Every time I miss my turn, I have to listen to the map lady nagging me for blocks to “make a U-turn” or “proceed to the route.” “Which route?” I ask her (or perhaps I’ve uttered some other choice phrases at times). While grocery shopping, give your child verbal directions such as, “turn left,” “walk forward ten steps,” and “turn right at the next aisle.” Plan ahead to avoid a catastrophe such as steering them to the candy aisle. Bring a map of the store with you so that you don’t get lost. 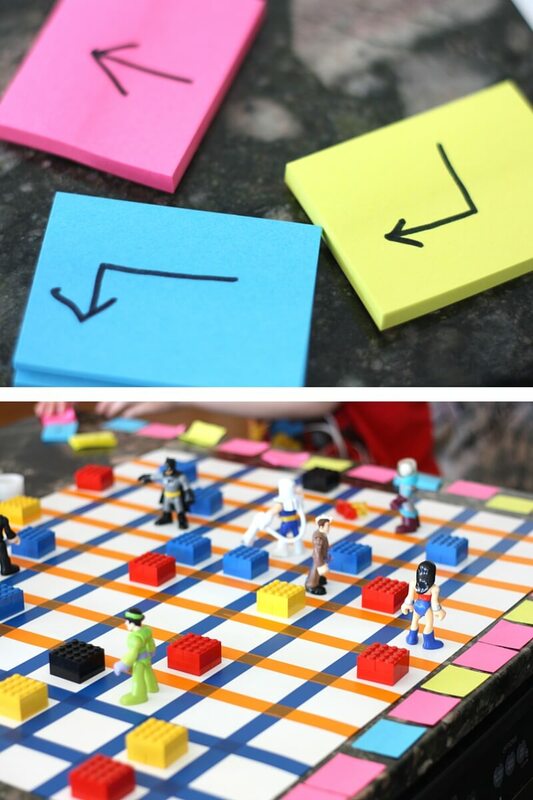 Place sheets of paper on the floor in a grid pattern, or make a grid like this one using poster board and colored tape. Use whatever toys, blocks, markers, etc. you have on hand to place goals and obstacles on certain squares of the grid. If you don’t know what an if/then statement is, then read on. If you noticed that I just used an if/then statement, then go to the head of the class. And if you want to teach your preschooler about cause and effect, then try one of the coding games below. Read the book, “If You Give a Mouse a Cookie” by Laura Numeroff with your child. Read it enough times that he is familiar with it. Assemble the following props in one room of your house: cookie, glass of milk, straw, napkin, mirror, scissors, broom, sponge, box, blanket, pillow, book, paper, crayons, pen, and Scotch tape. Help your child, if necessary, to go and get the appropriate item that follows next in the book. Anyone who’s played the game “Duck, Duck, Goose,” has had to act on an if/then formula where IF you are a “duck,” THEN you remain sitting, and IF you are a “goose,” THEN you have to get up and run around the circle making a fool of yourself. And THEN, IF you catch someone, you have to be the next person to tap other kids on the head and have them chase you. Duck, Duck, Goose is one of the most embarrassing kid games on earth, but I loved it – probably because it had a logical set of if/then rules that I understood. Learning about patterns helps kids develop a strong foundation in math and other subjects like science, art, and music. Not only that, but patterns of 0s and 1s are what make coding possible. Of course, it’s a bit more complicated than that, but you’ve got to start somewhere, right? Patterns don’t have to be numbers. They can be colors, shapes, or any category you can think of. The point is that they are repetitive. So without further repetition, let’s get started on some patterning activities for preschoolers. If you’re as sharp as your preschooler, you’ve noticed that the heading for this section forms a pattern. And if you’re as budget-minded as I am, your eyes were immediately drawn to the first three and last three words. Yes, some of the best things in life are free, like these free printable coding patterns designed specifically for preschoolers using jelly beans. With a supply of pipe cleaners, beads, and this free worksheet, your squirmy wonder can make colorful squirmy worms in a variety of patterns. Remember, by introducing these activities to your preschooler now, you can create your own personal computer techie. How nice to have one in the family! And just in case you don’t believe that coding can be enjoyable, here’s a coding exercise you can try for yourself right now. Do you want some chocolate cake? If your answer is YES, proceed to #2. If your answer is NO, proceed to #4. Buy some chocolate cake and proceed to #3. Help yourself to some chocolate cake. Repeat #3 until supply = 0. Then proceed to #2. Sure you do. Proceed to #2.
Who knew coding could be so much fun?